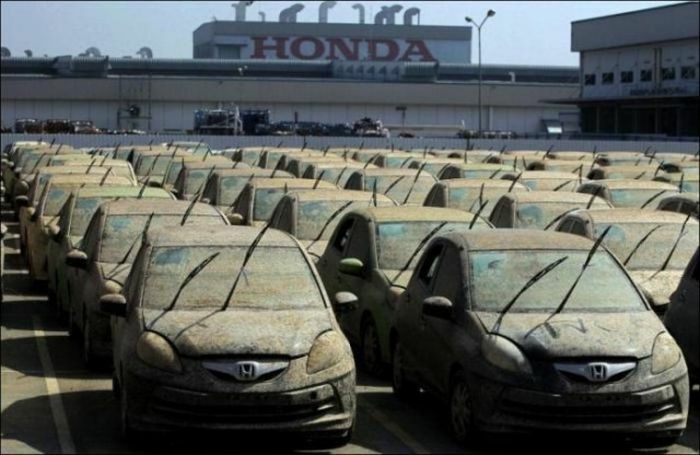 Due to the strongest flood in the last 50 years in Thailand, a Honda plant was flooded. 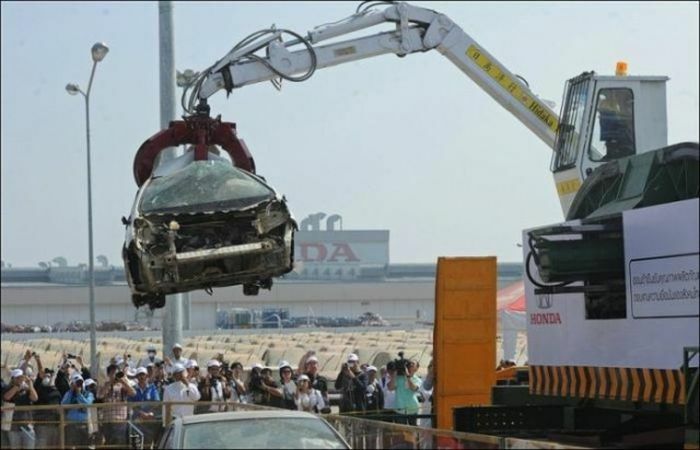 Rather than try to salvage the vehicles that were ruined, Honda just destroyed them all. Get your story straight Acidcow. 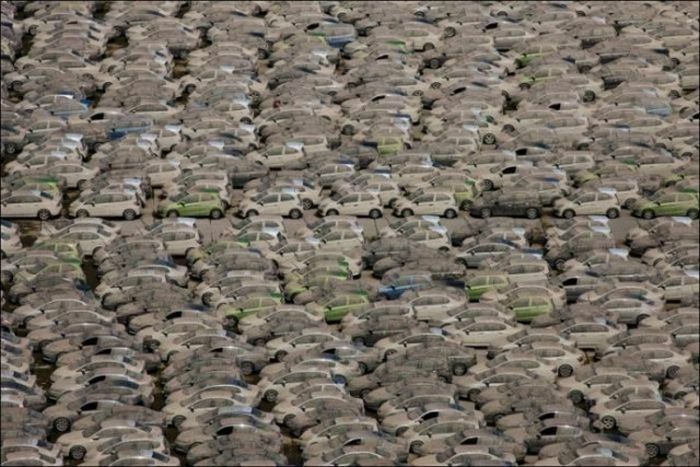 the cars that are destroyed have had there engines removed and the wheels.... figure it out. 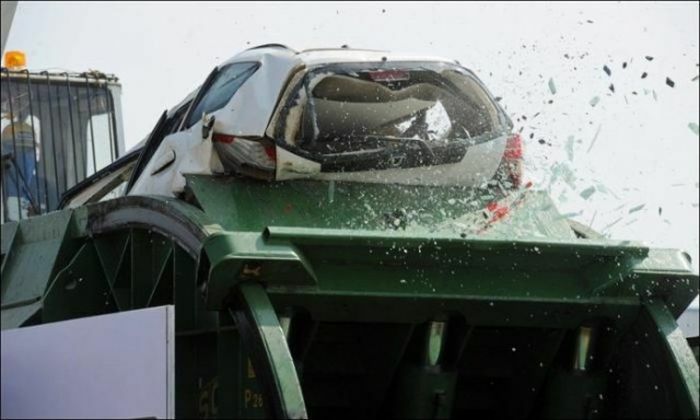 Why would they destroy bodywork? 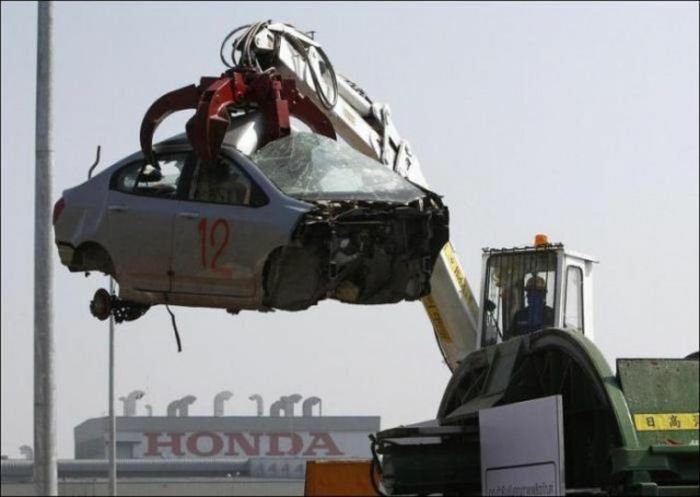 It's easier to save the bodywork than the engine. If the engine was flooded then it's probably beyond saving. Look at the pictures ..... the drive trains (engine and transmission) HAVE been removed. 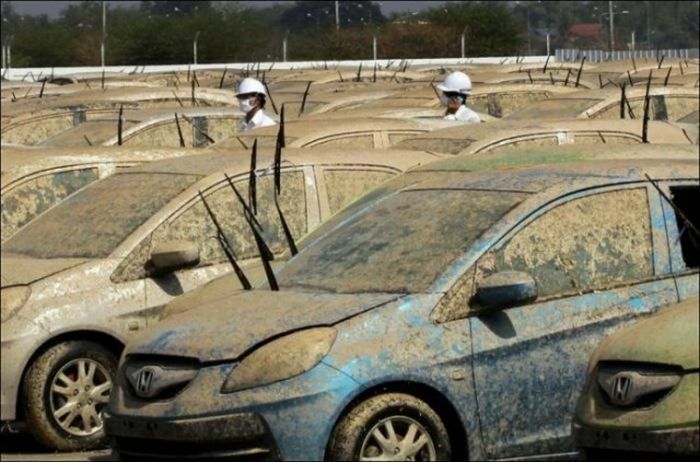 The bodies are destroyed because they can no longer guarantee against corrosion.